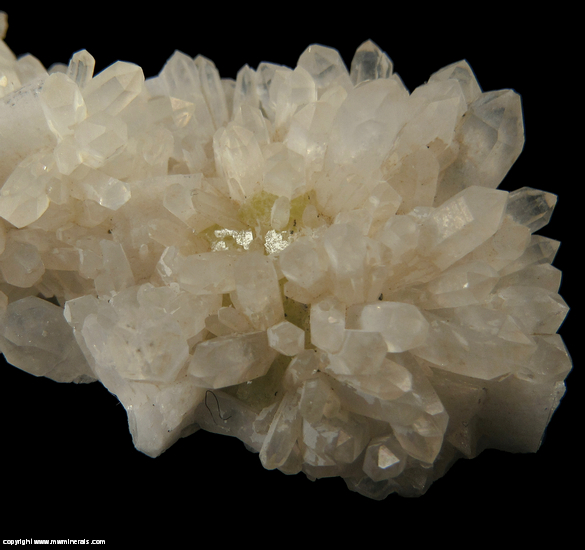 $35 Click here to order this mineral. 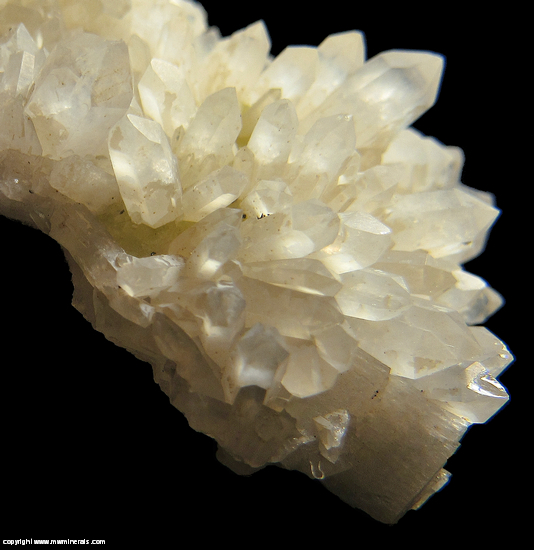 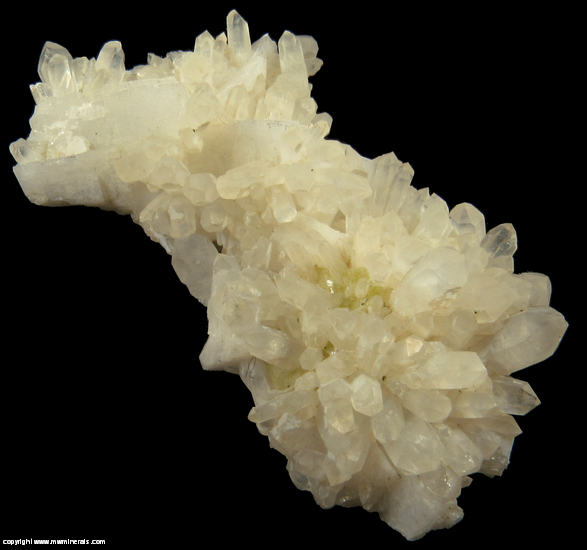 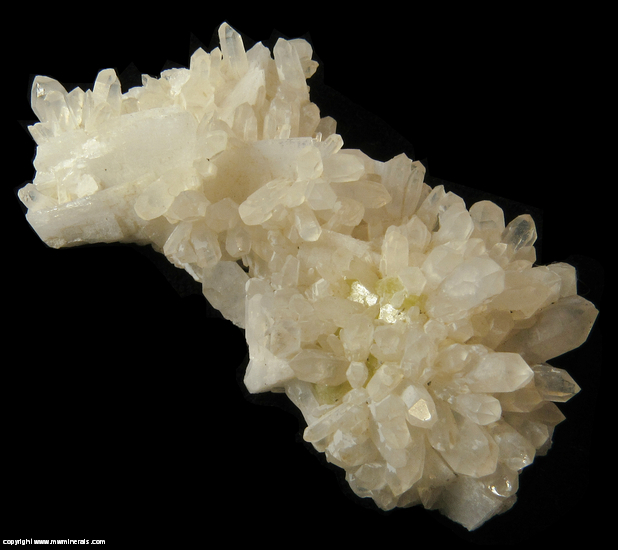 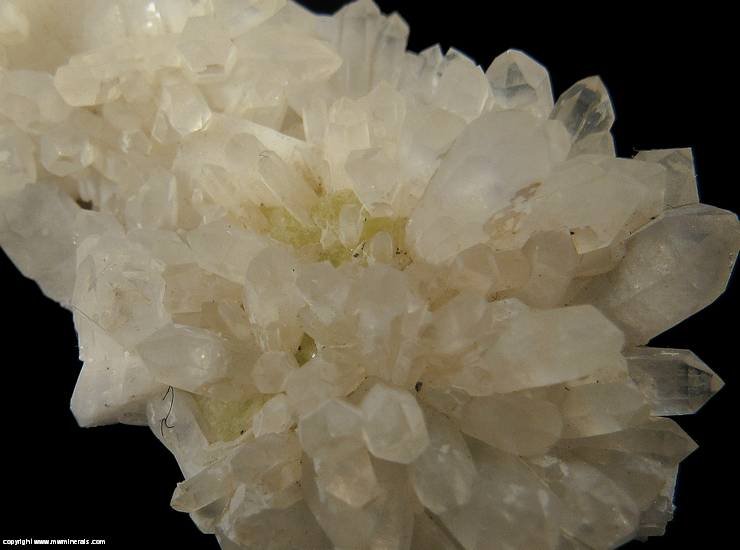 This specimen is composed of sparkly, Quartz crystals which are clear to white in color, elongated white colored Valencianite crystals and yellow/green colored Milarite. 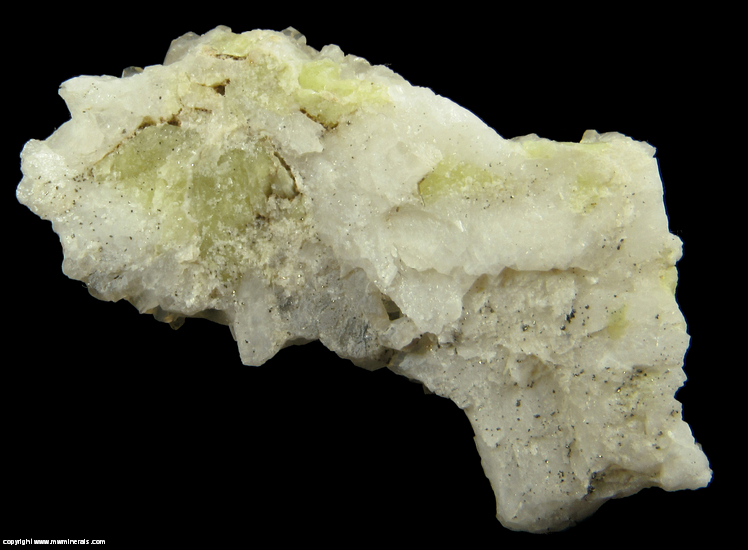 Valencianite is a varietal name for K-Feldspar that at one time was considered a separate species for which this was the type location. 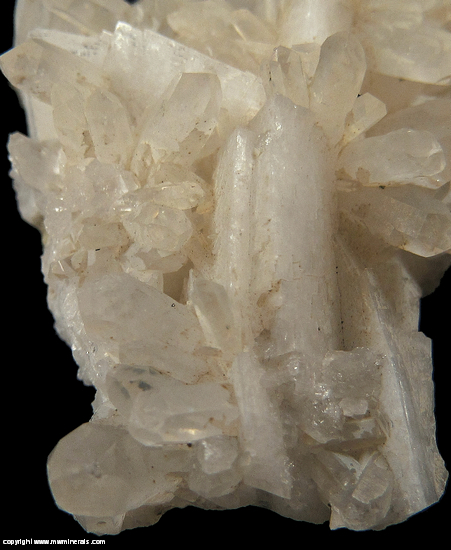 Interestingly, on mindat, there is a paper from 2013 cited on the description for the location which makes the conclusion that Valencianite actually should be considered a separate species.